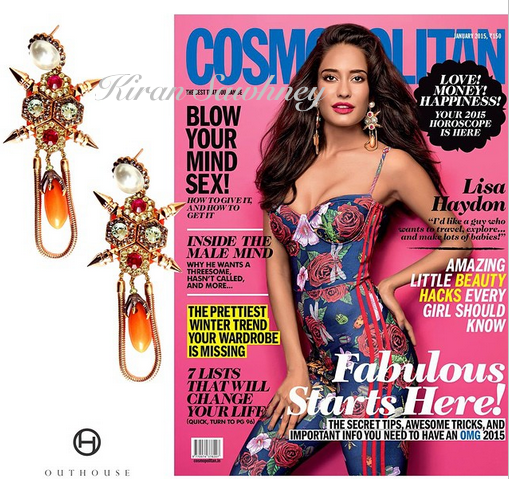 The first issue of the year 2015 of Cosmopolitan has Lisa Haydon wearing floral jumpsuit from Adidas Originals x Rita Ora collection. She finished the look with earrings from Outhouse. While we are absolutely not fond of this floral jumpsuit, there is no denying that Lisa wears it well.